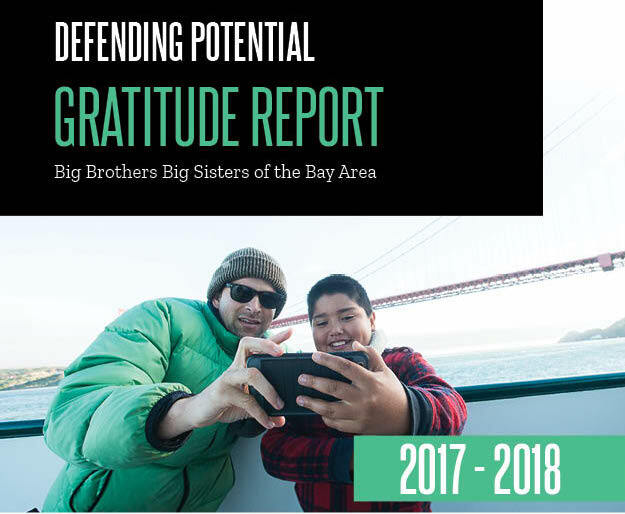 To all our supporters who’ve invested in our programs and engaged with Big Brothers Big Sisters of the Bay Area in various ways throughout the year. We’re grateful to have you partner with us to defend children’s potential the best way we know how, through professionally supported mentorships. That’s why we’re proud to share this Gratitude Report, which illustrates the important impact made this last year and indicates how much more we can achieve when we work together.